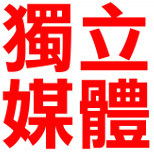 This post was adapted in two segments from an article written by Oiwan Lam and originally published in Chinese on 1 October 2014 on citizen media platform inmediahk.net. It was translated by Loki Chu and republished on Global Voices as part of a content-sharing agreement. 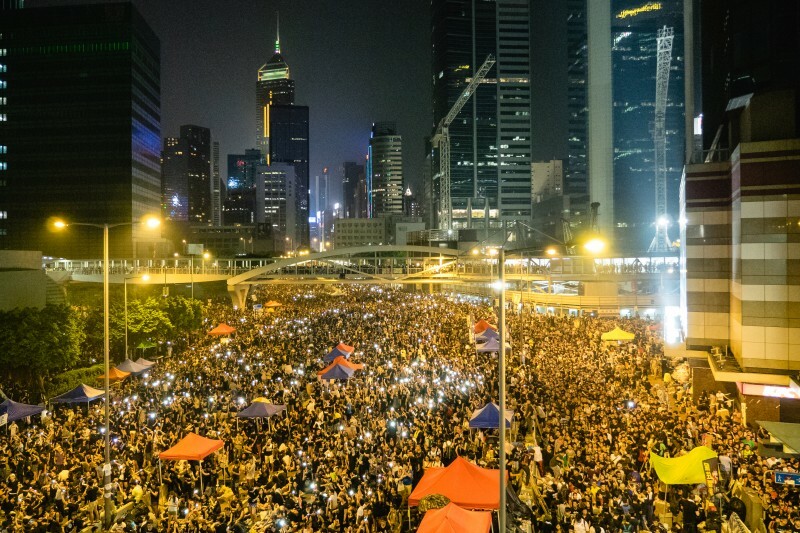 On September 28, rumors that Hong Kong police had asked mobile phone operators to shut down network services in Hong Kong's Admiralty area spread like wildfire. Tensions were already running high, as police had used tear gas on pro-democracy protesters just hours before. The Federation of University Student Unions, a key organization that has helped mobilize the massive sit-in dubbed Occupy Central, immediately called for protesters to retreat from the demonstration if network services were cut. On social media, messages from various sources urging protesters to download and install FireChat, a chat application that can be used over the Internet or via Bluetooth technology, went viral. The FireChat Bluetooth setting allows users within close proximity to one another to communicate without a mobile Internet connection. Scores of protesters downloaded FireChat in an effort to maintain communication during the protest in case of a network shutdown, despite the inherent security vulnerabilities that the app carries. Thus far however, a network shutdown has not taken place. Many are now wondering if it is even possible for a network blackout to be imposed on Hong Kong. This happens on a regular basis in regions of mainland China like Xinjiang, where authorities use Internet blackouts to contain ethnic unrest among the region's Uyghur minority. Yet network infrastructure and corporate governance is much less tightly controlled in the special administrative region of Hong Kong. Charles Mok, the legislative councillor for the Information Technology Functional Constituency, believes that the chance of a network blackout is very slim. In other words, Hong Kong needs to be in a state of (a vaguely-defined) “emergency” for the government to demand Internet providers to shut down their networks, whether throughout the whole territory or in a specific region. Charles Mok pointed out that the government would have difficulty exercising the power given by these two ordinances because both mobile network services and fixed line network services operate in open markets in Hong Kong. According to data provided by the Hong Kong Trade Development Council, there are a total of 20 local fixed line telecommunications network operators as of June 2013, five mobile network operators as of December 2012 and 194 Internet service providers as of June 2013. One can imagine the huge impact should a Cap 106 warrant be issued. Moreover, the warrant must be sent directly to either the CEO or CTO of the service providers, and before overseas operators receive these warrants, the network should remain connected. Charles Mok added that should the government really want to disconnect the network, it may still be done with the 3G and 4G mobile network operators, but once the network is cut, mobile phone voice services will also be terminated, and the impact will be impossible to measure.